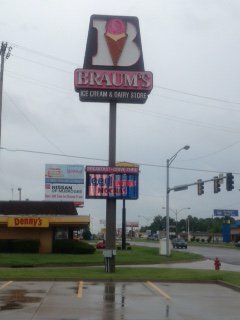 Braum's Ice Cream & Dairy Store in Muskogee is really three stores in one: an old fashioned soda fountain, grill, and grocery store. 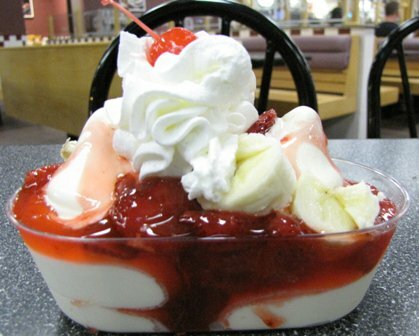 Enjoy real hand-dipped ice-cream cones, sundaes, and banana splits as well as handmade shakes and malts from the soda fountain. 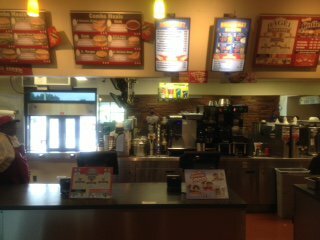 The grill offers a breakfast, lunch, and dinner menu including freshly-squeezed limeades, the famous 1/3 pound hamburgers, steak and chicken sandwiches, breakfast burritos, biscuit sandwiches, salads, chili, and more. 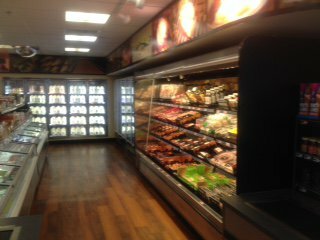 The grocery offers a full line of dairy products made with milk fresh from the Braum's Family Farm, over 100 flavors of ice cream and frozen yogurt, bakery items baked fresh in Braum's own bakery, over 100 fresh meat and produce items, and a whole lot more.